In my head I’m the Junior League type, in reality, maybe not so much. I actually did enjoy being in the Junior League though and probably would still be if there were a League closer to my hometown. At any rate, I am a Junior League drop out. I have, however, retained my copy of our League cookbook. This past weekend I decided to drag it out and try something. 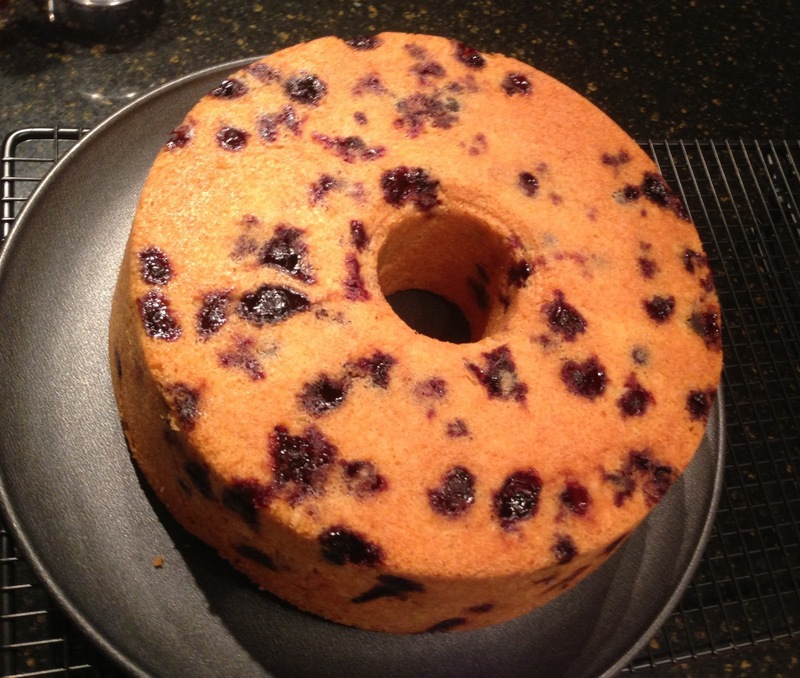 I had some frozen blueberries from last summer that I had been wanting to use so this blueberry pound cake recipe sounded just perfect! 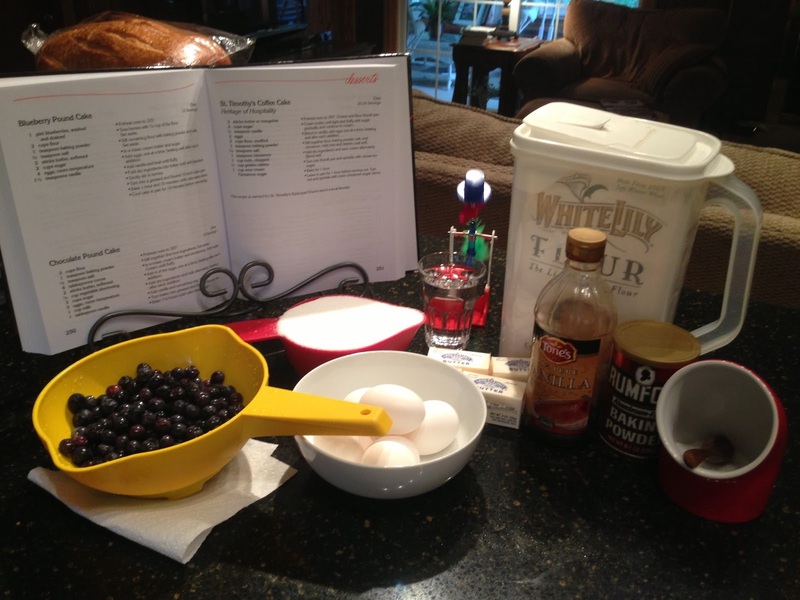 I really like this recipe because it includes simple ingredients that I almost always have on hand. 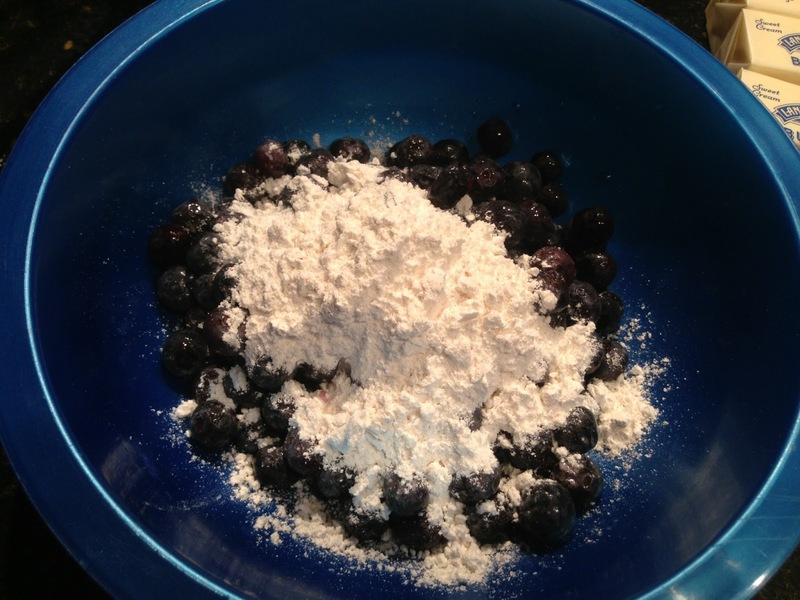 Toss berries with 1/4 cup of the flour and set aside. 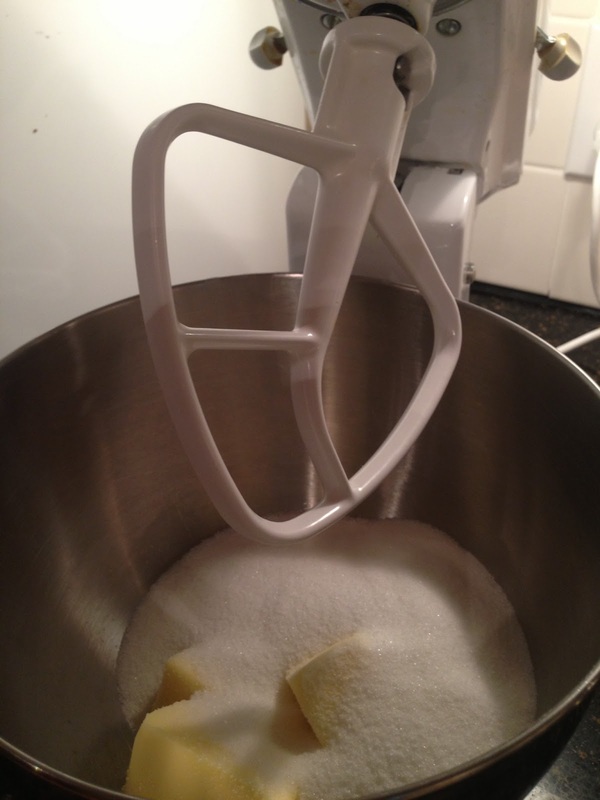 In a mixer, cream butter and sugar. 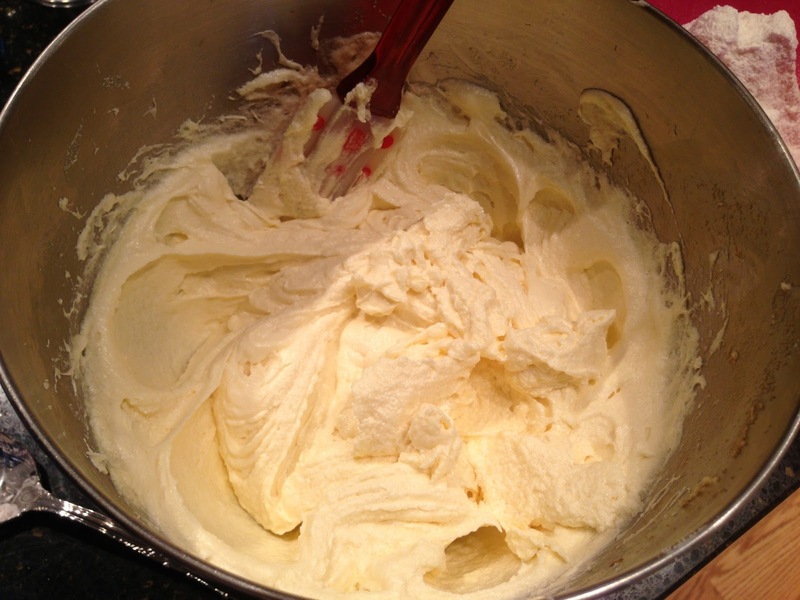 Make sure your butter is nice and soft and it will cream better. I was a little impatient on letting my butter get to room temp. 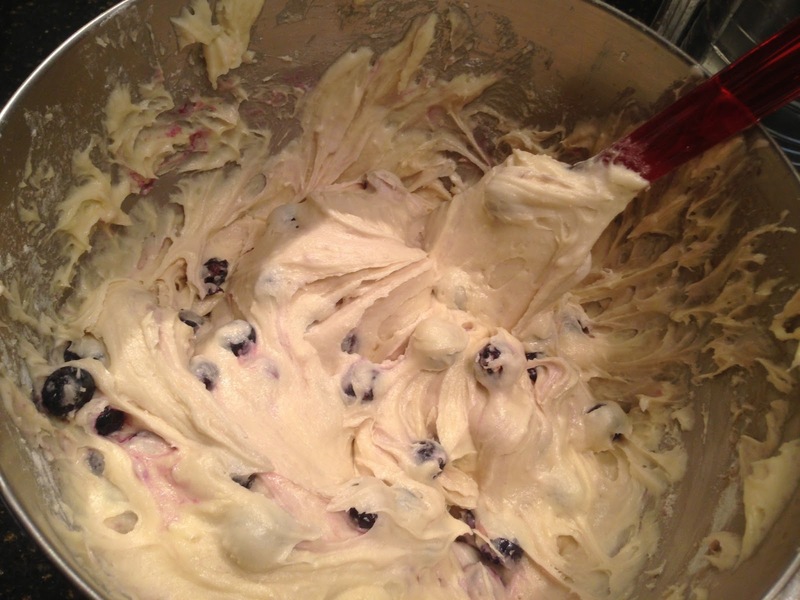 Add vanilla and beat until fluffy. 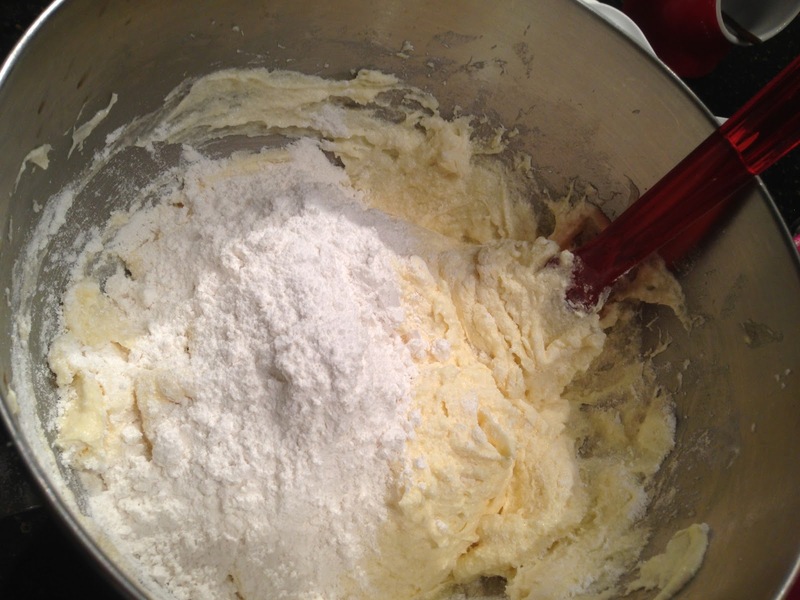 Fold dry ingredients into batter until well blended. 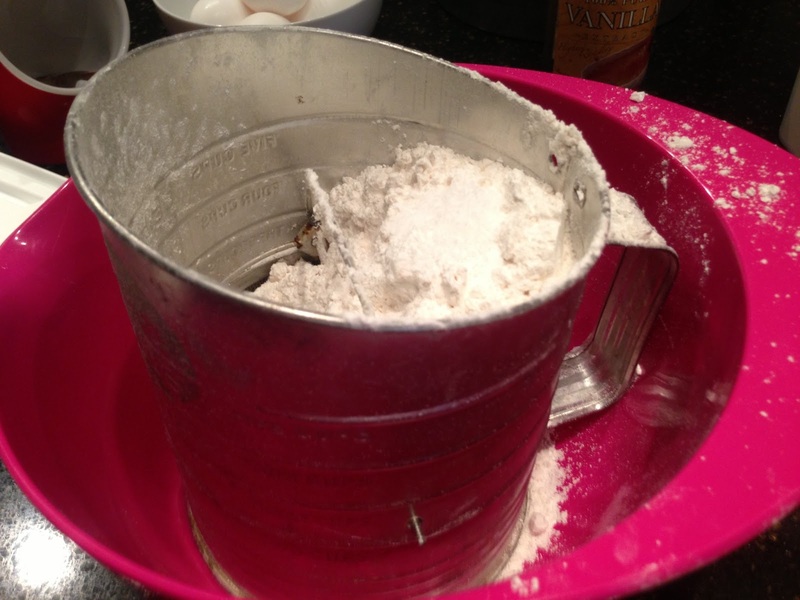 Pour into a greased and floured 10-inch tube pan. (I use Baker’s Joy with flour. Bake 1 hour and 15 minutes, until cake tests done. 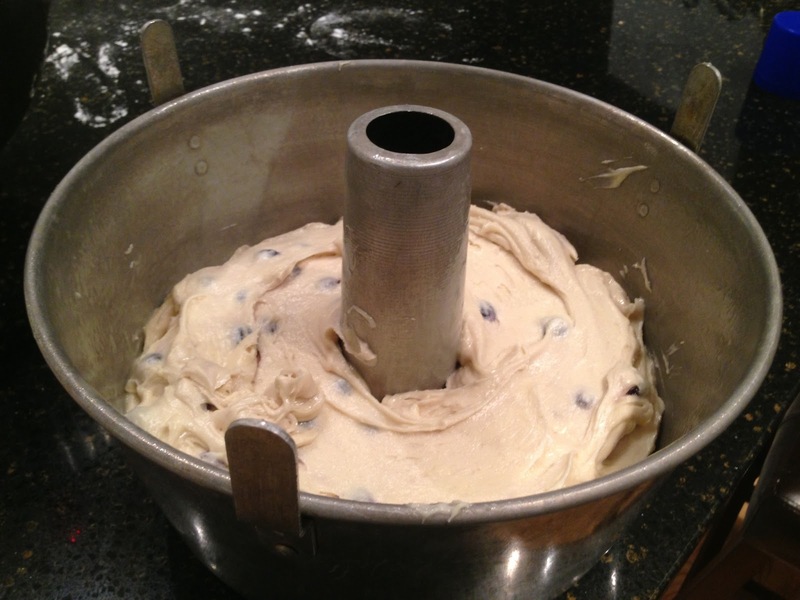 Cook cake in pan for 10 minutes before removing. The entire time I was baking this cake my mom kept asking if there was any liquid in the cake. She really thought something was missing from the recipe as it is odd for a pound cake recipe to not include milk or some other liquid. I admit when I first bit into a piece, I thought it was a tad dry, but it seemed to moisten up a little bit. 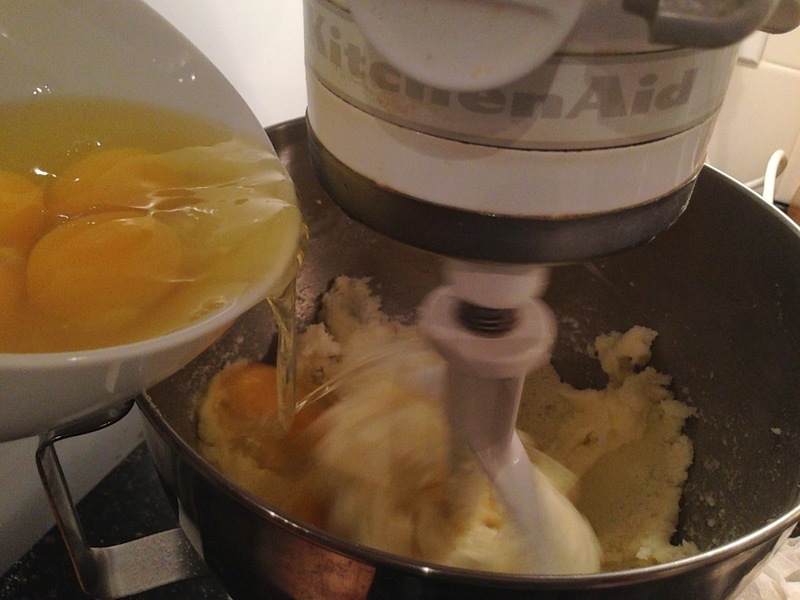 I think the next time I make this I will add some lemon curd. I just love lemon and blueberry together. 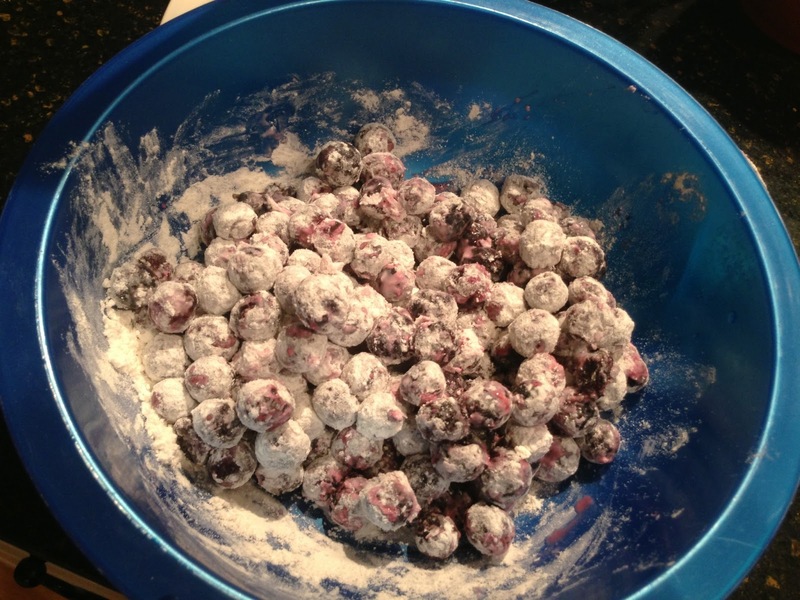 I also might make a blueberry sauce to go on top, or maybe a lemon glaze.